SPRINGFIELD, IL (09/28/2017) (readMedia)-- The Illinois Air National Guard's 182nd Airlift Wing based in Peoria, Illinois, is sending two aircraft and security personnel to support hurricane relief efforts. Two C-130 Hercules are delivering sustainment items to hurricane-ravaged St. Croix, U.S. Virgin Islands, today. One aircraft and crew is expected to return home before the weekend and the other will continue making deliveries throughout the weekend. Additionally, the 182nd is preparing approximately 15 security force personnel to support airfield security operations at Jose Aponte De La Torre Airport in Puerto Rico. 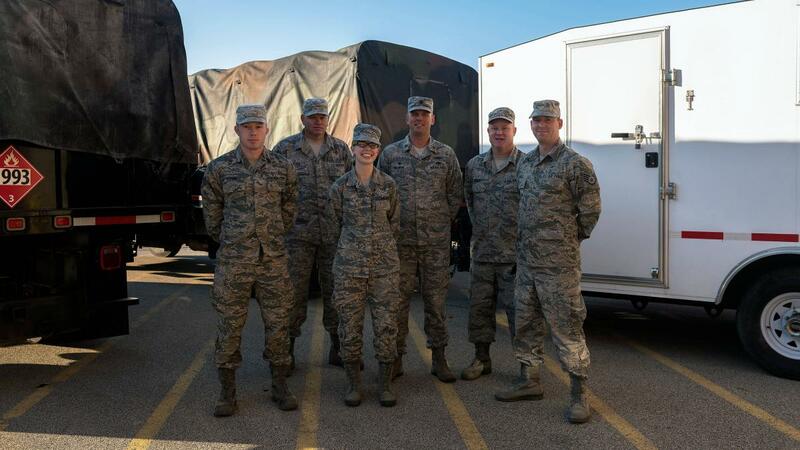 "Some of our dedicated Illinois National Guard Airmen have been supporting the relief efforts in Puerto Rico since Saturday," said Maj. Gen. Richard J. Hayes Jr., the Adjutant General of the Illinois National Guard. "The rest of the Illinois National Guard is ready to assist the citizens of Puerto Rico and the Virgin Islands when and if we are called to do so." An eight-member team from the Illinois Air National Guard 126th Air Refueling Wing based at Scott Air Force Base in Belleville, Illinois, arrived in Puerto Rico on Sept. 23. The 126th Communications Flight is operating a Joint Incident Site Communications Capability or JISCC, which is capable of providing 24-hour voice and data communication to both military and civilian response personnel.